Do you dream of a life where you would be spending your vacation at home? 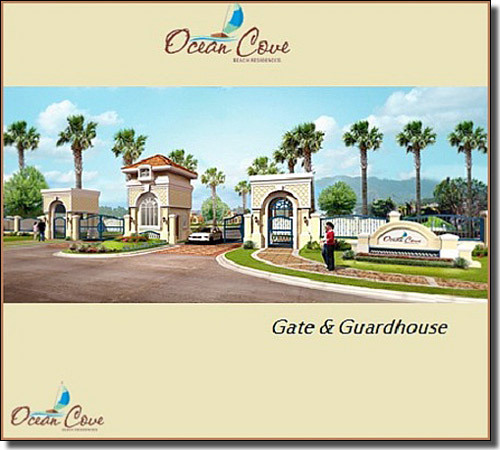 This is not a dream, At Ocean Cove, this is a reality. •	Everything is in place and ready to be enjoyed by you and your family-play beach volleyball, eat your meals at the picnic huts or stroll along the 430-meter span promenade. Marvel at the magnificent view of Davao Gulf, and Samal and Talikud islands from the view deck of the pool gazebo, Perfect your tan as your children frolic in the infinity pool. •	Enhance your social life, Hold parties at the clubhouse, Play basketball with your friends, Goof around with your kids at the playground, Have fun at the beach in the company of your new neighbors. • Pamper yourself with the calmness of your own paradise. The tai-chi area is the best place for you to meditate while getting your exercise. Smell and feel the gentle breeze from the sea. Listen to the rhythm of the waves as they sway back and forth to the shore. Watch as the sun sets behind Mt. Apo and turns the horizon into an explosive palette of red, orange, and scarlet. •	You can have the best of both worlds: the comfort of home and all the fun activities of a vacation. •	10-15minutes away from malls like Matina Centerpoint, SM City Mall, NCC Mall, Church like Matina Shrine, Schools like Ateneo de Davao High School, Banks, and other commercial establishment. Lot Cuts 123 - 740 sq.m. 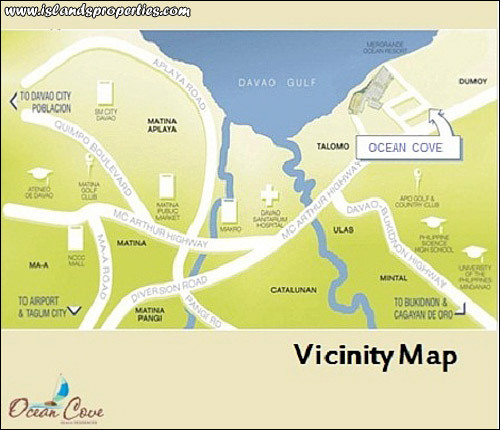 Selling Price PHP 6,325 – 8,470 per sqm.